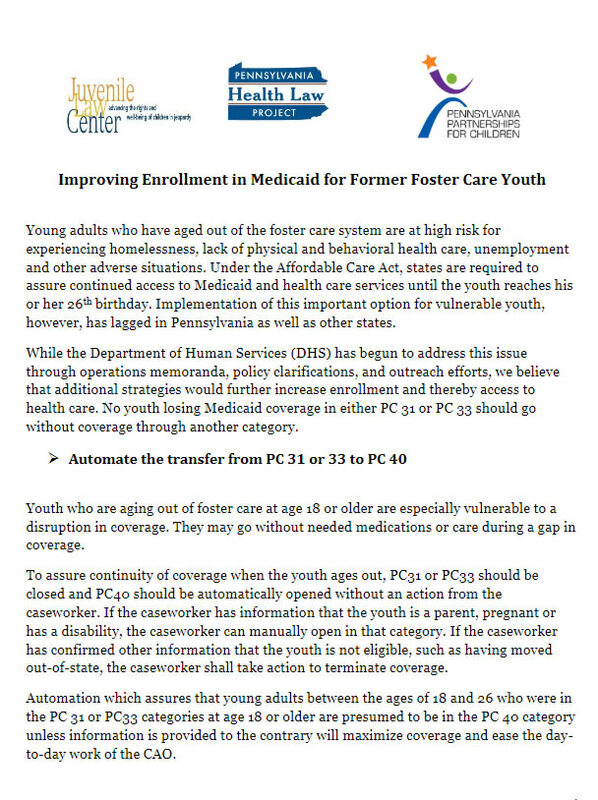 Young adults who have aged out of the foster care system are at high risk for experiencing homelessness, lack of physical and behavioral health care, unemployment and other adverse situations. 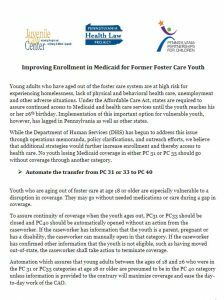 Under the Affordable Care Act, states are required to assure continued access to Medicaid and health care services until the youth reaches his or her 26th birthday. Implementation of this important option for vulnerable youth, however, has lagged in Pennsylvania as well as other states. While the Department of Human Services (DHS) has begun to address this issue, we believe additional strategies would further increase enrollment and thereby access to health care.